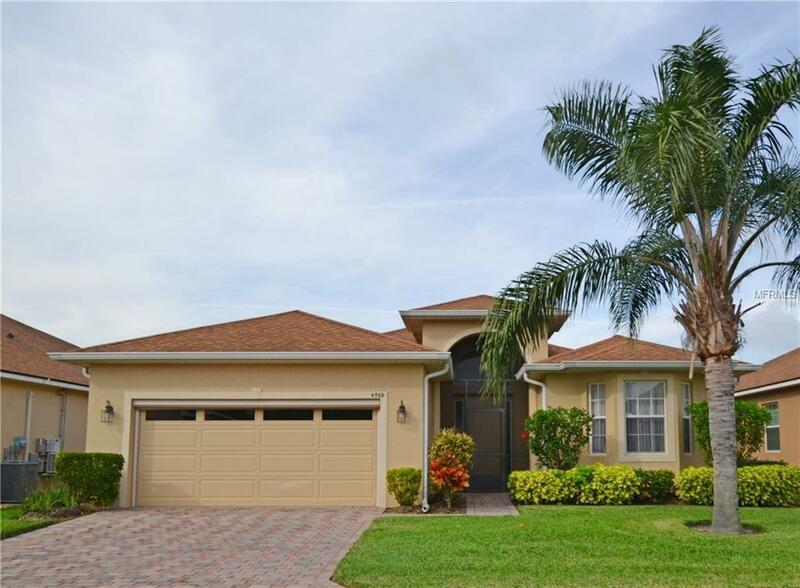 This beautiful Biscayne Floor Plan home, located on a Pond, with an Extended Screen Room In the rear, is WAITING FOR YOU!!! 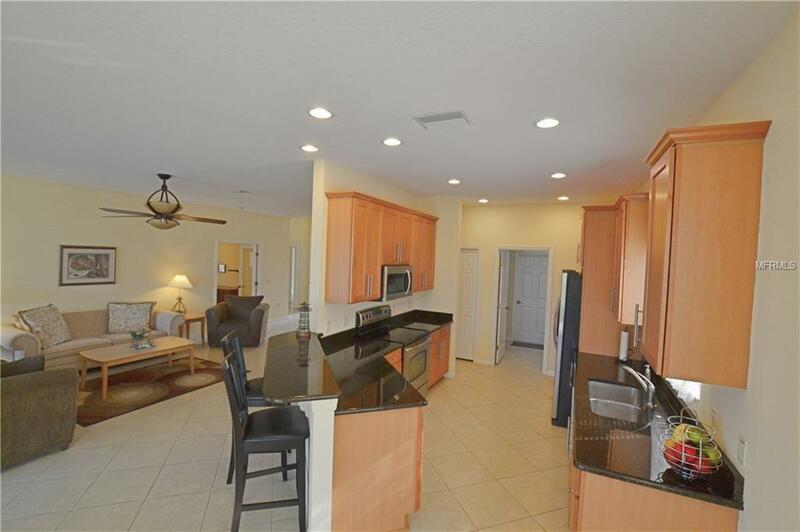 This Home has so many Upgrades but is priced to SELL!!! 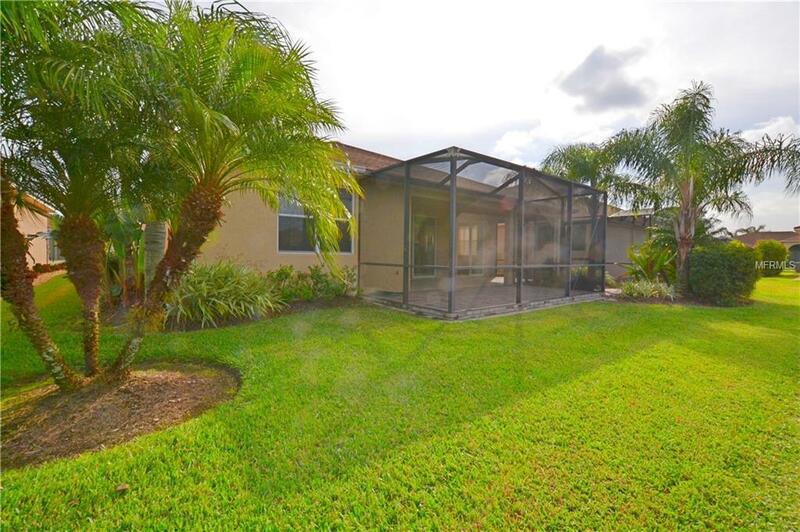 If you Enjoy the Sunsets in Florida you will love this Home. 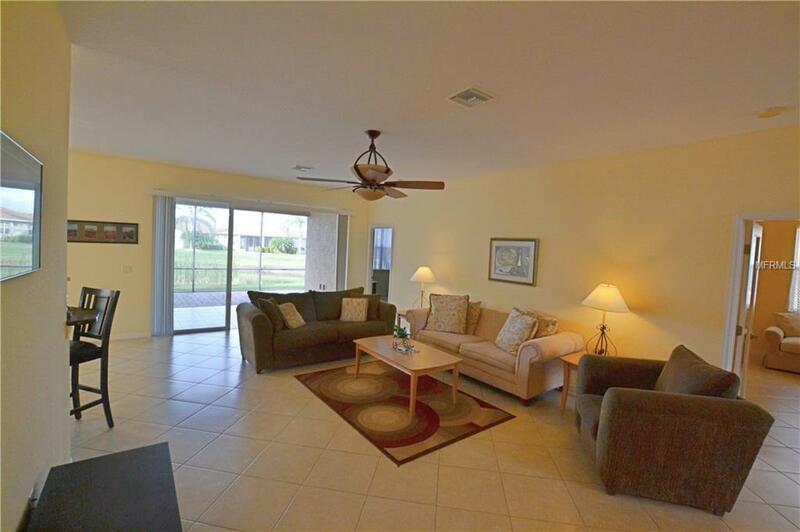 It has 2 Bedroom and Den, 2 Bath, and 2 Car Garage. The Upgrades include: Tile in the Living Room/Dining Room/Kitchen/Laundry/Breakfast Nook/Den/Foyer done on the Diagonal, Kitchen has 42" Wood Cabinets with Crown Molding and Hardware, Granite Counters, Upgraded Stainless Steel Appliances, Better Delta Faucet, Laundry Room has Cabinets for added Storage with Sink and Lower Cabinet, Solar Tubes in the Laundry and Guest Bath, Master Bathroom has His & Her Closets with Mirrored Bi-fold Doors, Corian Counters on the Comfort Height Wood Cabinet with Hardware, Glass Door on the Shower area, Great Jetted Garden Tub, Elongated Toilets in Both Baths, Window Blinds, Guest Bedroom has great Bay Window which really adds Character to the Room, Guest Bath has the Tub Removed and Glass Shower doors added, Comfort Height Counters with Upgraded Wood Cabinet with Hardware, Ceiling Fans/Lights throughout, A Pocket Door Separates the Guest Bedroom and Bath to give your Guest Privacy, Skeeter Beater on Garage Door, Added Screen Room added to the Veranda Area which make it great for Entertaining, Upgraded Landscaping and Curbing, Many Palm Trees added, and Screened Front Door area to keep it Clean. Furnishings are Optional. One Year Free Golf included with the Purchase of this Home.